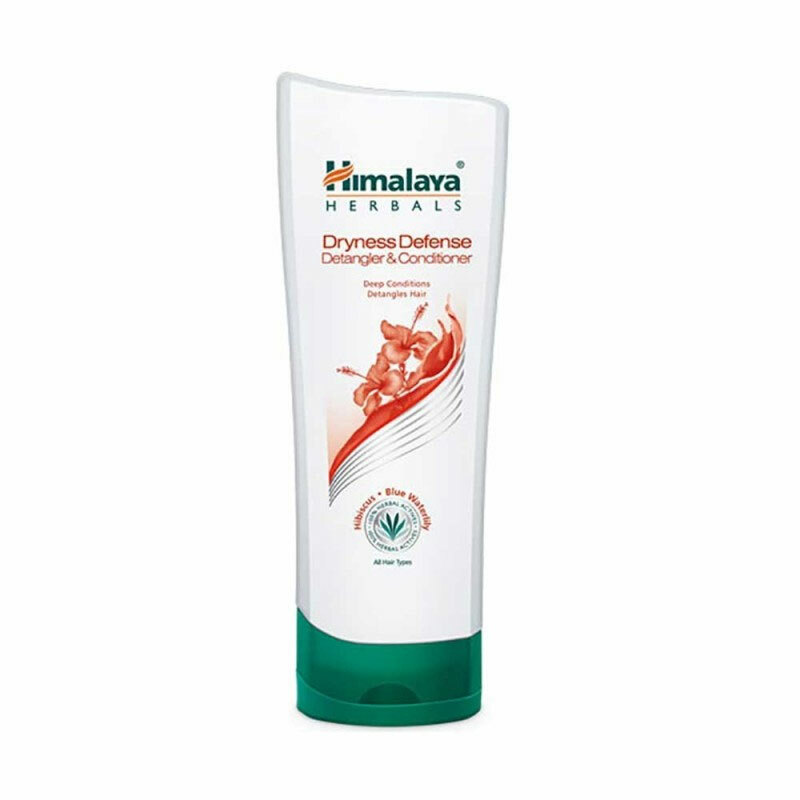 Himalaya Dryness Defense Detangler & Conditioner is specially formulated for dry, frizzy and tangled hair. Enriched with herbal ingredients, our conditioner deeply moisturizes hair strands, without weighing hair down. This unique detangling formula provides manageability to tangled hair, reduces static and protects hair from future damage. Hibiscus is a natural conditioner that moisturizes and detangles. Blue Water Lily nourishes, softens and promotes hair growth. After shampooing, apply conditioner on wet hair strands, focusing along the length of hair. Leave for two minutes and rinse thoroughly. Safe to use on artificially coloured or permed hair.